Macedonian NT player with Ukrainian origin, Julia Nikolic (29) ex-Portjanko has signed contract with Russian team, HC Zvezda Zvenizgorod. Former player of Kometal Djordje Petrov, where he spent 6 years was the best playmaker of the French Championship last season. She has played in Arvor 29 Pays-de-Brest, champions team, who has relegated to the second League after financial collapse. ← Previous Story Suzana Cubela to Dinamo Volgograd! Next Story → HP prognosis of Olympics (Men’s): Denmark to break the “Handball rule”! 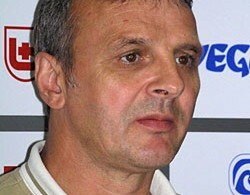 Russia: Zvezda without Play-Off Final – Zdravko Zovko sacked! Women’s CWC 1/8 Final: Konkoly’s bad start, Zajecar goes to 1/4 Final!